Toyota has blessed its European market HiLux pickup truck with a mid-life facelift for the 2012 model year. The cosmetic surgery starts with the exterior that gains a redesigned front end sporting a different grille dressed in chrome, new bonnet, headlamps and front bumper. The changes continue with the redesigned front and rear wings, a new crop of 15- and 17-inch steel and alloy wheels, plus new door mirrors. On the inside, Toyota restyled the upper part of the dashboard and the instrument binnacle, while the company also claims to have improved the perceived quality “through the adoption of uniformly darker finishes with a greater colour consistency throughout the interior, and the addition of silver ornamentation”. 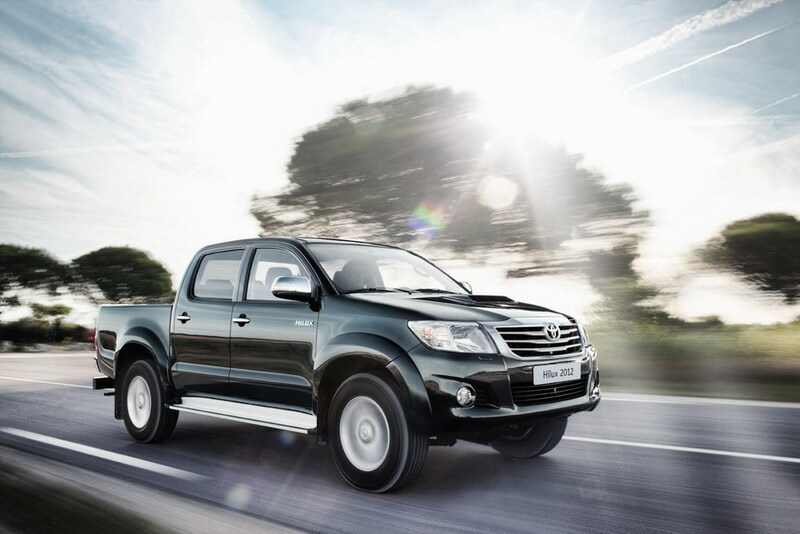 Beneath the sheetmetal, thanks to the introduction of variable nozzle turbocharging, the 2012 Hilux 2012 2WD 2.5-liter D-4D models benefit from a 24HP increase in output with the four-cylinder diesel engine now rated at 144-horses at 3,600 rpm and 343 Nm at 2000 rpm. 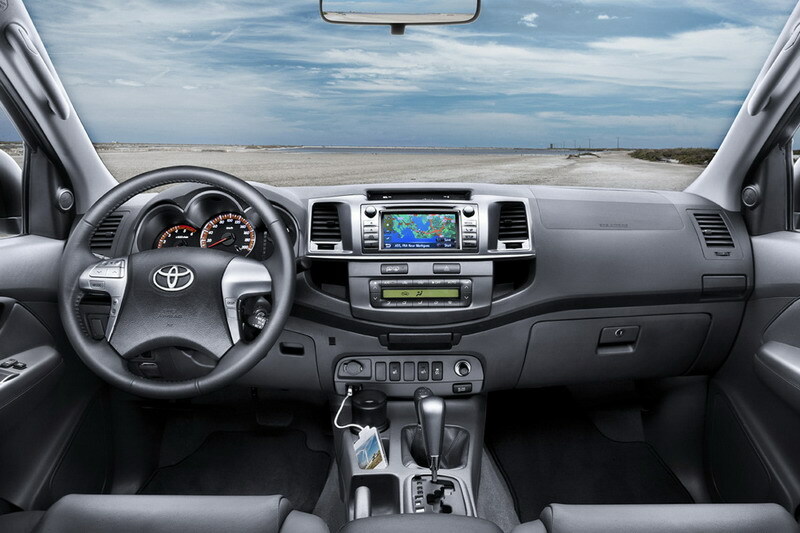 Toyota says that in spite of the power increase, combined cycle fuel consumption has been reduced by 1.0 lt/100 km to 7.3 lt/100 km (32.2mpg US or 38.7mpg UK) while CO2 emissions have been lowered by 26 g/km to 193 g/km. 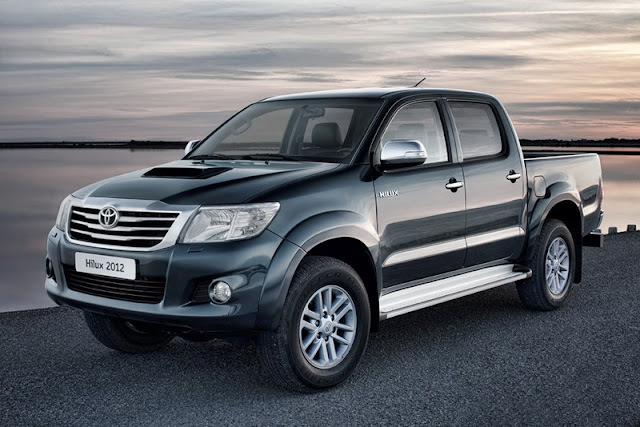 Furthermore, the 2012MY 2WD versions are now equipped with the chassis of 4WD models, which improves vehicle ground clearance and increases towing capacity to 2.5 tons. For the 2012MY, both the 2.5-liter D-4D and the more powerful 3.0-liter D-4D come equipped with a Diesel Particulate Filter (DPF). 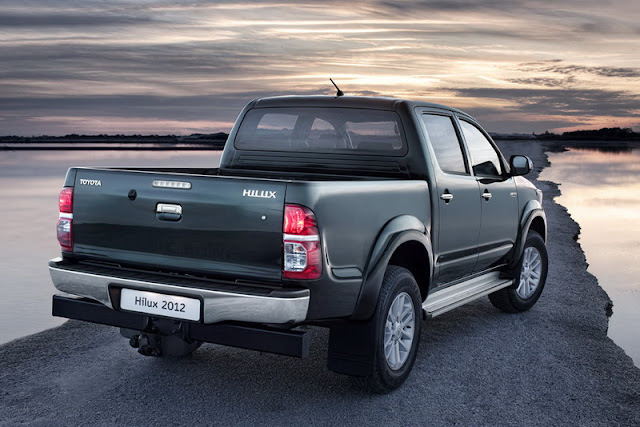 Aside from the two diesel engines, European buyers of the 2012 HiLux also have a choice of three body styles, manual and automatic transmissions and two- or four-wheel drive layouts.